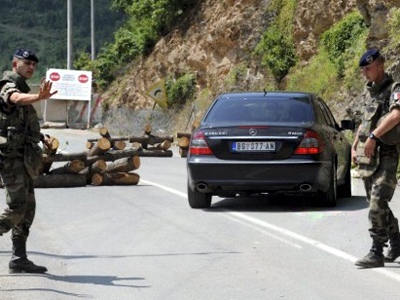 A NATO spokesperson has confirmed that its troops fired on Serb protesters in the Mitrovica region. According to the statement, they were responding to an attack by the crowd. Figures for the number of wounded vary, but hospital officials say at least seven Serb protesters and four NATO soldiers were injured. 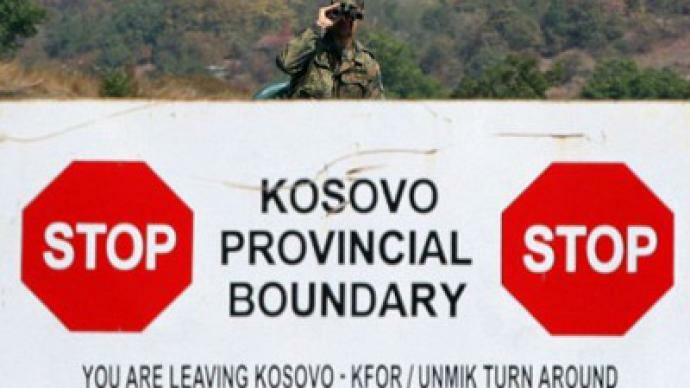 The Alliance’s representative in Kosovo, Kai Gudenoge, said Serb protesters threw pipe bombs at troops stationed along the border between Serbia and Kosovo. One soldier had to be evacuated for treatment due to the gravity of his injuries. Three others are being treated locally. The Serbian side, however, claims the attack was initiated by the KFOR peacekeepers. Eyewitnesses claim the troops fired tear gas and rubber bullets to try and disperse a crowd protesting at the Kosovar government's attempt to take over two border crossings in the north previously controlled by neighboring Serbia. According to Serb officials, at least 14 protesters were injured – and doctors view their condition as “very serious”. Following an escalation of tensions, the talks between Belgrade and Pristina scheduled for Wednesday have been cancelled. Representatives of Belgrade will instead meet with EU mediator Robert Cooper, the Serbian media reports, citing a diplomatic source. 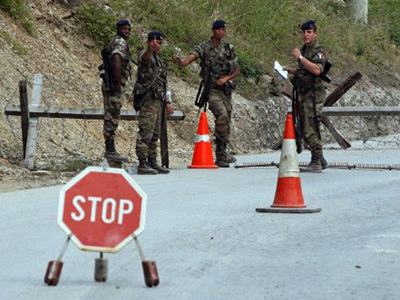 Top of the agenda is the worsening situation at the Serbia-Kosovo border. According to Serbian-Canadian documentary filmmaker Boris Malagursky, KFOR’s efforts did not stop with rubber bullets and tear gas. Nebojsa Malic,a Washington-based Serbian historian and author, is convinced that NATO has overstepped the limits of its mandate. Despite claiming they used rubber bullets, he argued, NATO troops used real bullets in the conflict. Back in July, violence erupted when Kosovar authorities tried to take control of the border posts after Prime Minister Hashim Thaci ordered a trade ban on Serbia. The conflict resulted in the death of a policeman. Now, neither side wants to take action for fear it could once again ignite tension. Kosovo broke away from Serbia in 2008 with the support of the US and some EU countries. But Serbia and northern parts of Kosovo, as well as Russia, China and some other states, do not recognize its mandate.